Device SCSI\Disk&Ven_Seagate&Prod_BACKUP+\000000 could not be migrated. I tried changing PCB board and swapping SATA controller with portable adapter but no change. How can i recover my drive. Could you elaborate? With photos? 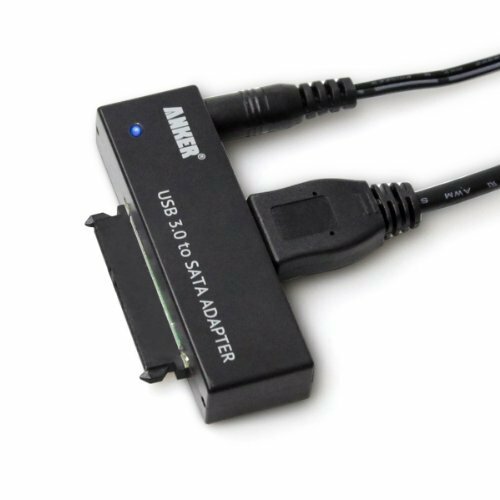 I thought there is problem in builtin SATA to USB bridge in my portable hard drive, so i changed the adapter but error was same, it was being detected but no drive was shown in any disk management software. Then i got another PCB board imported as it was not available in karachi and changed it from native. If you connect the drive directly to a SATA port on your motherboard, does it report a strange model number or capacity? Does it make any bad sounds? I am unable to find if my hard drive is SMR or PMR, some website says its neither pure SMR nor pure PMR. Device USB\VID_174C&PID_5106\6&27b3086a&0&2 could not be migrated. Device USB\VID_174C&PID_5106\6&27b3086a&0&2 had a problem starting. But if you connect only the drive to a sata port, not using the usb adapter ? Does the computer recognizes something ? With which names ? Unfortunately i have laptop, i know none who has PC, although i dismantled my laptop and directly connected hard drive to SATA port and ran Ubuntu via USB, it did not detect hard drive, ran different commands but could not find hard drive. I guess hard drive is best detected in USB 2.0 port with built in SATA to USB adapter. I have same problem like this i'm going to replace PCB . but I'm worry when i see your post it didn't work . So how did you solve it ? These 4 TB Seagate BarraCuda are coming in regular now, most of them I have worked on where ST4000LM024. So a nice mix up of SMR, MTC and PMR. A pain in the "bip" to work on. PCB change will not bring your data back, sorry. If data is important seek pro assistance. what response are you waiting for ? the forum members are waiting for a respond from you! 4. Pics from the component side of the original board, please. First of all , i also have same problem with Seagate 4 T external hard drive. When i connect directly to SATA, there is still not see in BIOS as port 2 not dected. 2. Hard disk is spining but not with strange sound. Light is on. Should i change pcb or any firmware problem? What should i do more for recovery datas from these harddisk. did you change the PCB with same model same fire ware. One of the forum said it need same Firmware version and if you don't have you might also find in there . but i'm still not get yet. can we see the terminal log ?